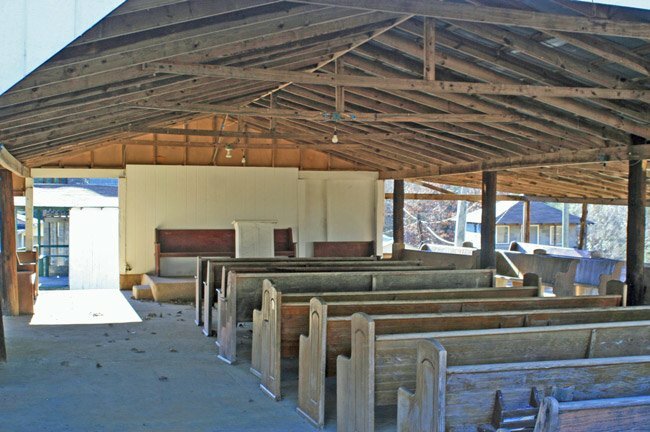 Located in rural Fairfield County, Camp Welfare is an African Methodist Episcopal Zion campground established in 1876. 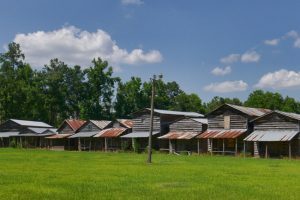 Religious revivals – or “camp meetings” as they are called – became popular in isolated areas of the South during the late-eighteenth and early-nineteenth centuries. At that time, Bishop Francis Asbury – considered the founder of the Methodist denomination in America – traveled by horseback to remote outposts where people would gather not just to hear sermons but also to be married and have their children baptized. Many of these small communities did not yet have churches of their own, and the ability to access religious rites encouraged attendance far and wide. Bishop Asbury was joined by many other preachers, and together they “rode circuits” – established routes that allowed them to visit isolated villages periodically and develop a group of followers. The followers would in turn form their own congregation and build a church as they were able. 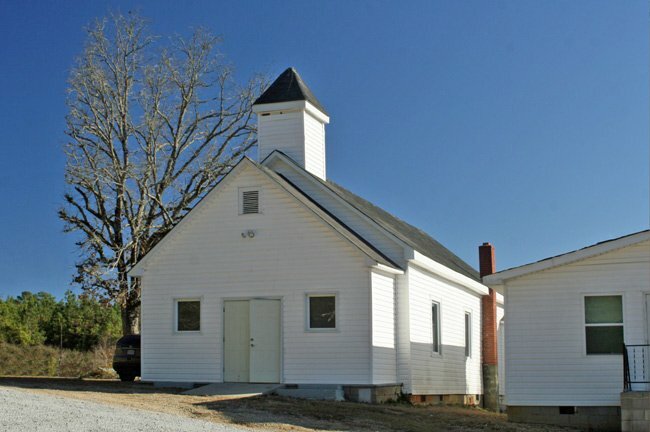 Countless South Carolina churches evolved in this way – not just in the Methodist faith but in other Protestant faiths as well. Camp meetings were rustic affairs. Because there were no church buildings, worship took place under a brush arbor, often a small clearing under a tree. Those who traveled long distances needed to stay overnight, and their families set up cloth tents for shelter. 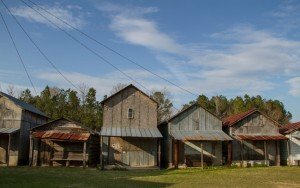 In time, as the revivals grew more regular, the families built small cabins where they could sleep. The name “tent” stuck, and these wooden structures are called tents to this day. Religion may have been the impetus behind the revivals, but reconnecting with neighbors was – and is – an ample reward. In the early days, travelers valued the social time between sermons, as many were confined to their farms during much of the year. Even now, guests at camp meetings stay roughly a week, listening to sermons and spending time with other members of the congregation. This week was often chosen according to agrarian cycles. Camp Welfare, for example, continues to host annual meetings during the last week of August. This period is known as “lay-by time,” a time of rest that falls between cultivation and harvest. 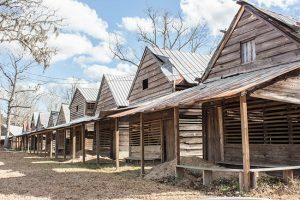 The earliest religious campgrounds in our state were established by whites because, unlike slaves, they had the freedom to travel and worship at will. 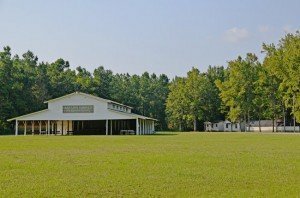 Indian Field Campground and Cypress Methodist Campground in Dorchester County are good examples of the revival tradition as both have been hosting camp meetings since at least the early 1800s. African-American campgrounds came later, following the Civil War. Camp Welfare’s site is especially significant because local slaves met here for religious purposes prior to Emancipation. Black congregants again began gathering here in 1876, and two years later, trustees of the camp were able to purchase the land from L.G.H. McMaster. 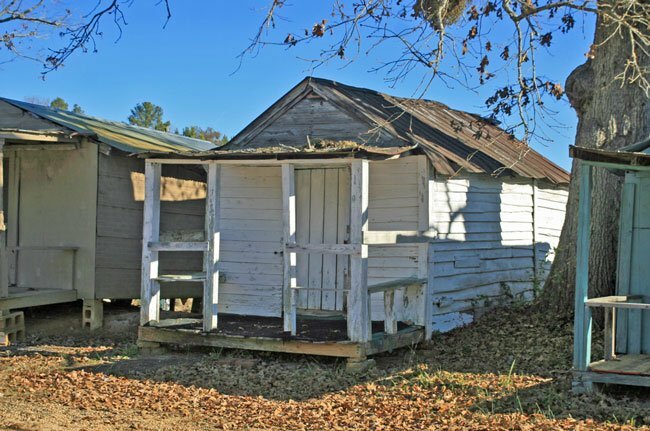 In 1925 the camp was deeded to Camp Welfare AME Zion Church. Camp Welfare differs slightly from other campgrounds in that it features an actual enclosed sanctuary. This sanctuary, seen above, was built in 1932. An open-air tabernacle is the main place of religious activity during camp week, however. The tabernacle is known as the arbor in difference to the camp’s humble origins. A school also once occupied the site as well, though it closed in 1955 and is no longer extant. St. Paul’s Campground and Shady Grove, also in Dorchester County, both serve black congregations. 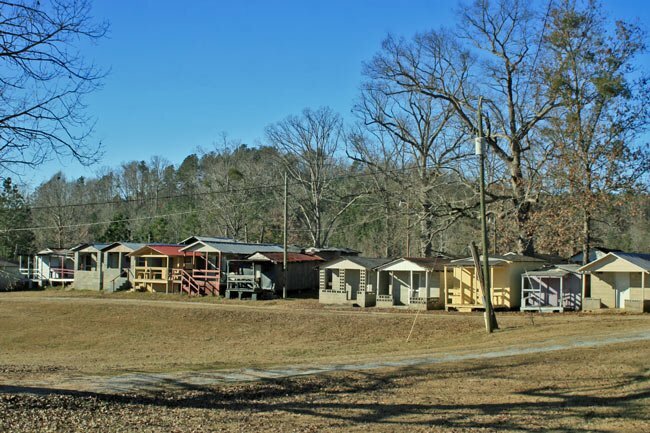 Camp Welfare is significant as an excellent example of a black religious campground. Camp Welfare was founded shortly after the Civil War by the African Methodist Episcopal Church. 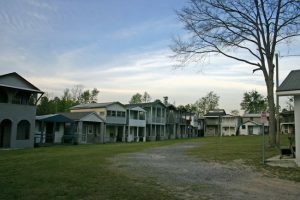 The trustees of Camp Welfare acquired the present property, which had been their meeting place since at least 1876, from L.G.H. McMaster in 1878. The meeting was held annually during the last week in August, traditionally “lay-by” time, the time between final cultivation of cotton and corn crops and harvest time. 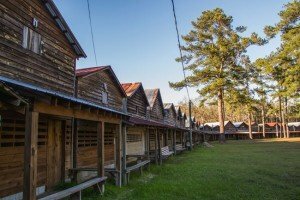 The camp is a collection of approximately 100 one-story, frame, weatherboarded cabins called tents. 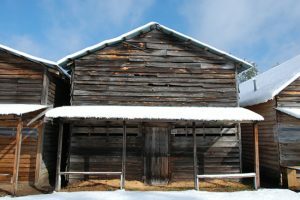 The gable-roofed tents, probably constructed around the turn of the century, have one room and a center front entrance sheltered by a shed-roofed porch. Some of the tents have been altered with the addition of corrugated metal or plywood siding, and a few of the more modern ones are constructed of concrete block. The tents were designed for sleeping only, cooking was done outdoors and there were community bath houses. Many of the families who attended the camp continued to attend through several generations, passing their tents down through the family. The cabins are arranged in a double U shape. The focal point of the camp is the arbor. Originally a true bush arbor, the arbor is now a rough, gable roofed wooden shelter with wooden benches. Also located at the camp is Zion Church. Built ca. 1930 the church is a frame building with a gable roof surmounted by a belfry.